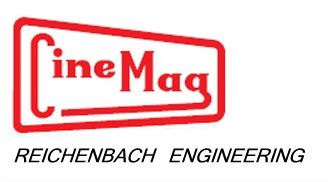 A shootout between the Neumann BV8 output transformer and the CineMag CM-2461NiCo happened at Rotund Rascal Recording Studio earlier this month. 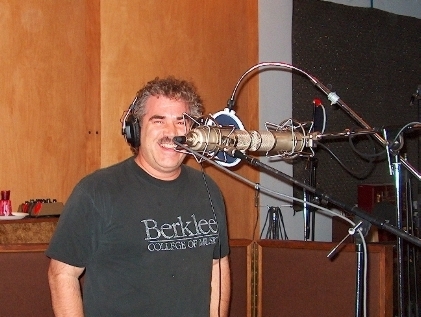 Present were a 1960s vintage U-47 and matched Pearlman TM-1 microphones. The output transformer from the U-47 was placed in one of the TM-1s and the other microphone was outfitted with a CM-2461NiCo. For the session the mics were arranged with the capsules in very close proximity to each other. 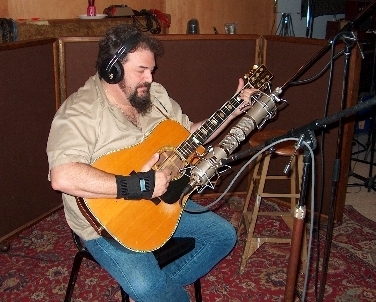 The Pearlman TM-1 microphones employed matched Telefunken EF-14 tubes with circuit topology similar to that of the original U-47. Both TM-1s used Peluso capsules, which were laser matched. 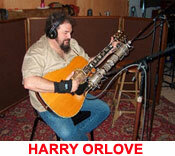 Present for the shootout at the Rotund Rascal studio were performers Harry Orlove and Randy Crenshaw. 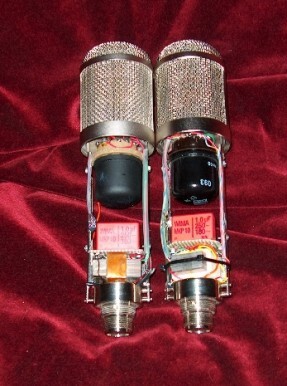 Both microphones were fed through identical amplifier chains and great care was taken to eliminate all variables so that a good comparison could be made. One of the design objectives for the CM-2461NiCo was to give it specific coloration. The BV8 used an iron, nickel and cobalt alloy for the laminations which gives it its own characteristics. As can be seen from the compiled spectrogram of the session, the CM-2461NiCo has better low frequency response and a brighter high end. The BV8 has complex harmonics. 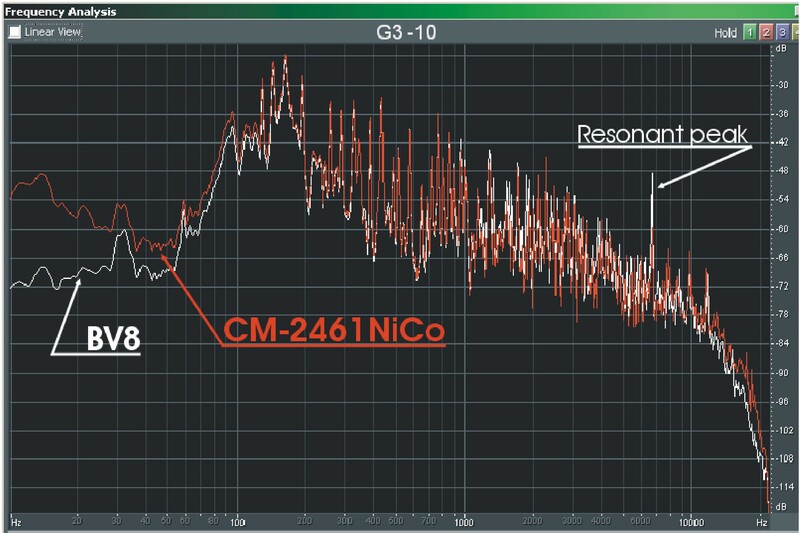 The CM-2461NiCo achieved simplified harmonic structure thus giving a cleaner sound as can be seen in these spectrographs. The first major consideration for the design of the CM-2461NiCo was that it had to be well behaved when driven from high impedance sources. Next, it had to have broader bandwidth. 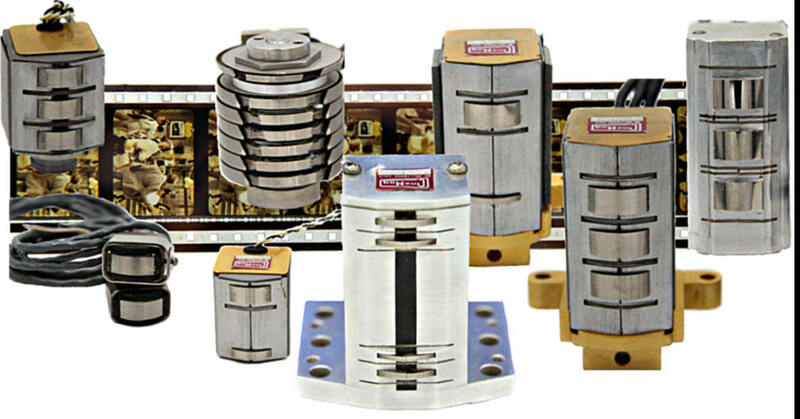 Finally, each lamination alloy (steel, high nickel and cobalt) was specially annealed to give the proper spectral response. MP3 Download and play on MP3 compatible gear. Broadcast wav (cda) Download to CD-R and close disc so that it cannot be recorded over. This makes it compatible with standard CD players. 24 bit/48kHz wav Download and play through compatible work station. 24 bit/48kHz aiff Download and play through compatible work station.